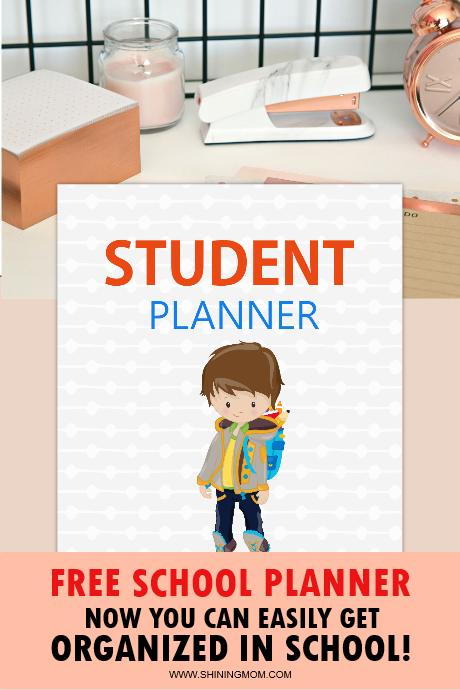 Free School Planner: 43 Student Organizers + Monthly Calendar! Calling all students! Now you can easily sort things out at school with this free school planner! It’s packed with cool printables that will help you navigate your school life. From daily planners to assignment and projects planners, it got you covered. This planner is designed to help you have an amazing year ahead. It’s an organizing must-have for every student like you so be sure to snag your free copy! Back when I was still a teacher, I have noticed that students who are more organized tend to be more productive in class. They don’t forget homework, their projects are never late, and they have the time to study ahead. how I loved to see organized students. They seem to be more focused! Ahhh, I miss being in the classroom today. I miss the noise of learning; I miss teaching! But what they say is true– once a teacher, always a teacher. While I am happy working from home these days, there are still times that I remember classroom memories and I usually find myself smiling while reminiscing. This is why I thought of blessing students with organizing printables that I think they will find useful. And so today, I thought of creating and sharing organizers that I believe will help them perform better in class. Guess what; I feel being a teacher all over again that way! Dear students, this free school planner is for you. I hope you will find it useful. I hope it will help you have a fantastic school year! Please enjoy this planner! Free School Planner for You! This free school planner is fully loaded with 43+ printable school organizers that you can download and use right away. It comes in a super cute school theme. 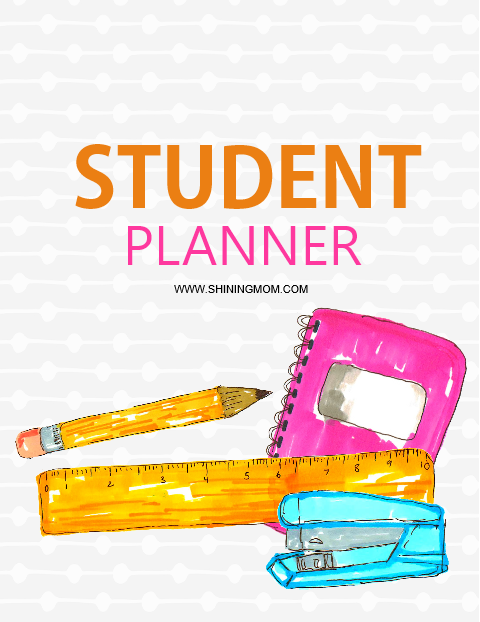 Presenting the Ultimate Student Planner by the www.shiningmom.com blog! Ready to have your best school year yet? This free school planner is designed to help you navigate your life at school. It is designed to help you stay organized so you can be more successful! 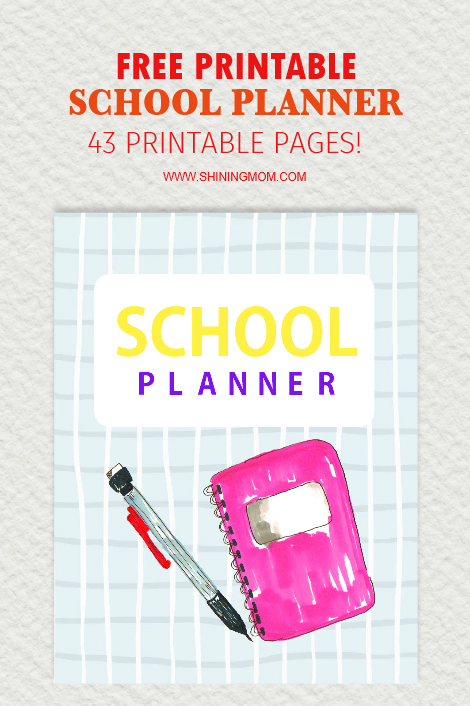 Kids and teens will surely enjoy using this fun and colorful planner. It includes all the basic planning pages needed to get organized in class. 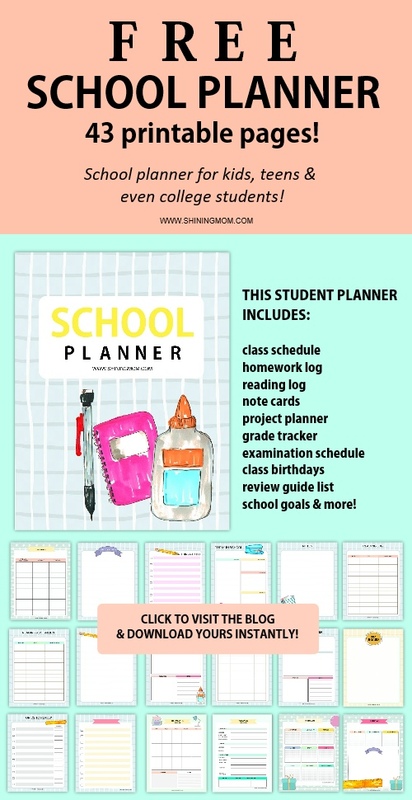 But hey, even the college students can use this free school planner, too! So dear students, no matter what grade level you’re in right now, I think you’ll find planning organizing in the planner that will ease you in school. 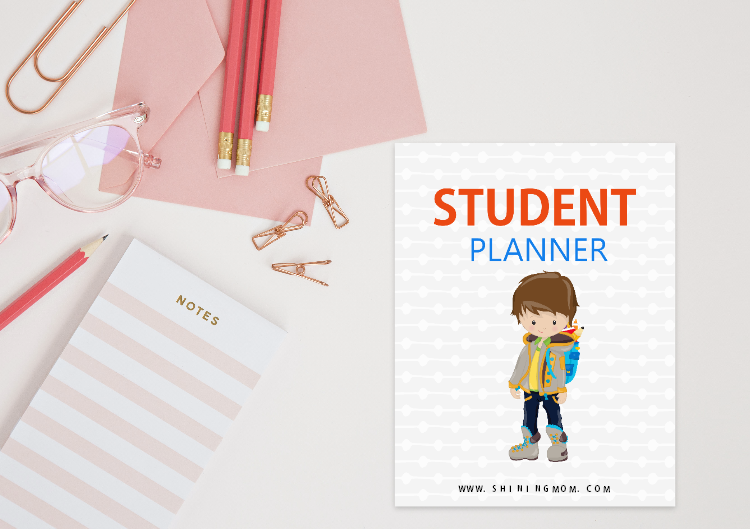 What’s Included in Your Free Printable Student Planner? I made sure that each page comes practical, useful and easy to use. And to make planning fun, I added cute watercolor elements to the pages. Take a look! I am giving a quick tour! Easily organize your schedule for the day plus plot out your examination dates with the planning organizers included in your free school planner. Here are some sample pages that you can use! Look at the sample planning pages below. 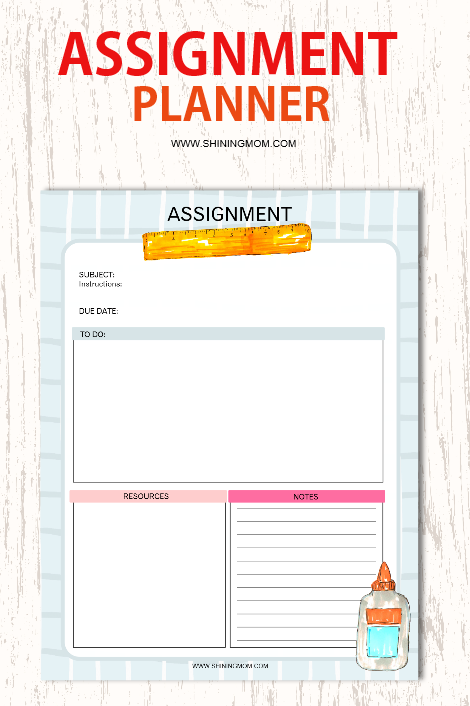 Map out your assignment with this graphic organizer. The simple and practical layout will ease you in accomplishing your work! Write down the subject, instructions, things to do, resources and other reminders to get things done. Assignment-making has never been this fun! You will also be receiving four (4) planner cover design choices. Print the cover that you like best. Here’s a sample cover page included. Never miss anything important again! I’ve also included monthly calendars to keep you totally organized with your schedule. While you can already use your phone calendar to remind you of your school activities, a printed out copy is sometimes better to use, isn’t it? Use this free 2019-2020 school calendar to write down all the important dates, activities and assignments in school. There’s also a room for your notes towards the bottom of the page where you can jot down your major reminders or to-dos for the month. It’s super fun and cute monthly calendar, look! I’ve also included blank monthly school calendars so you can use them any year! 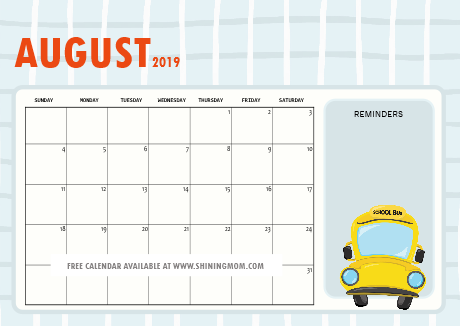 Get Your Free School Planner and Monthly 2019-2020 School Calendar! DOWNLOAD THE 2019 CALENDARS AND BLANK CALENDARS HERE. JOIN OUR MAILING LIST HERE TO RECEIVE THE FREE SCHOOL PLANNER sent straight to your inbox. Print the planner and the monthly calendars in US standard Letter Size paper. You may also use A4 sheets, just be sure your printer setting to “Fit to page”. Enjoy the planner and calendar! Looking for more student and teacher planners? NEW! Student Binder: 50+ Organizing Templates! Ultimate Teacher Planner: 40 Organizing Templates! Super Cute Student Binder Printables: 40 Pages! 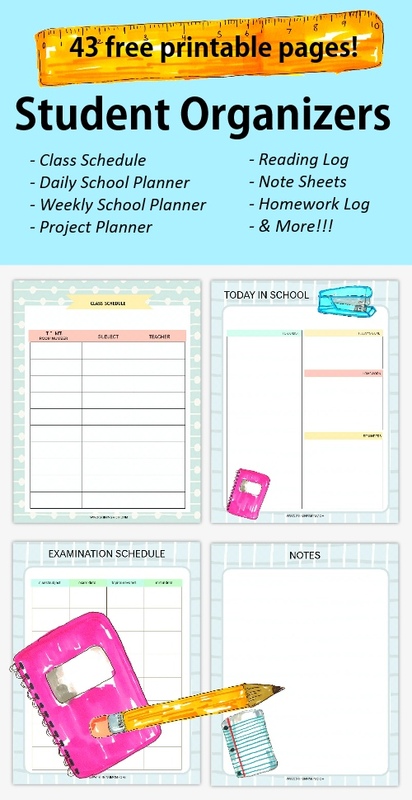 Lastly, help spread this free school planner by pinning this post at Pinterest. I dream that this planner reaches the hands of thousands of students in the world! Thank you very much! Happy organizing and may this school year your best ever yet! Have fun! « FREE Spring Bullet Journal Layout with Goals Planner: 30+ Pages!